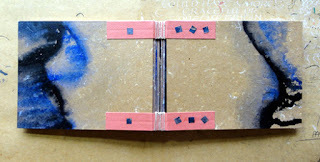 The little exposed spine, blanket-stitch book is finished. It is so sweet. 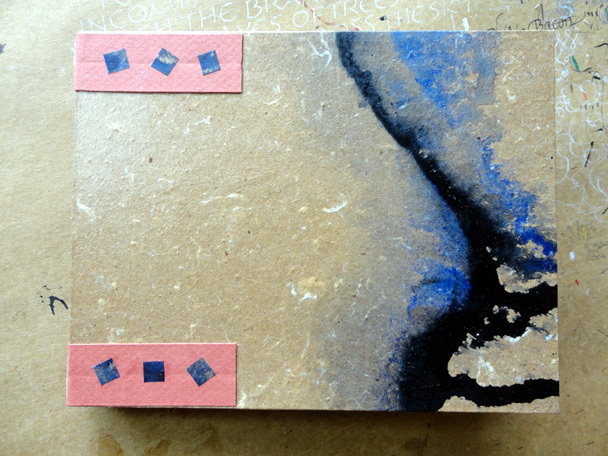 How lovely it is to get so much pleasure out of just making a little book! that the whole book at every opening lays perfectly flat. 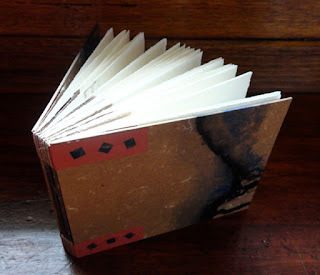 Just lovely...nothing better than a beautiful handmade book. Thanks Fiona, I had intended it to be a bit "softer" to look at than this but I am happt with the mechanics of the book, if you know what I mean. Hi Gemma, have just had a lovely wander around your blog. 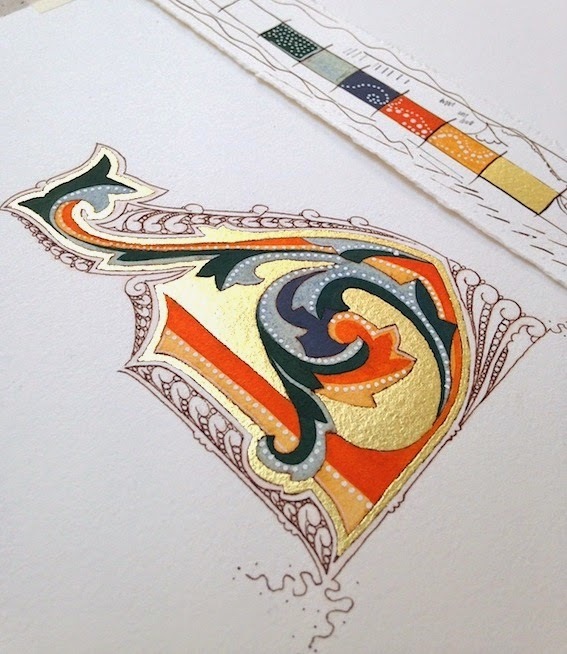 Love what you do - from the sophisticated calligraphy which is totally enviable to the delight you take in binding a beautiful book. I love this blogging world where the viewer is invited into your art life to take a peek. A treat. Thanks Susie. I must tell you, not long after we settled here we framed those three gorgeous works of yours ... I'll take a pic and post them here so you can see how stunning they look.